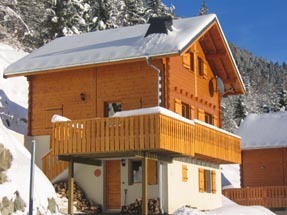 Chalet Soleil is a traditional wooden style. It is a Self Catering Chalet and has been equipped to a very high standard to offer our guests a home from home atmosphere. It has 3 bedrooms (sleeps 6) and a spacious open plan kitchen, living and dining area, with stunning views across the valley. The chalet is in the perfect location for winter skiing and exploring the Portes du Soleil ski area as it is close to Morzine, Avoriaz and Châtel. It is also great for summer holidays in the French Alps for activities such as walking and cycling. The Chalet is situated only 1 hours drive from Geneva. Wi-fi is available at the chalet, but this is a "pay as you go" hot spot. See "News" page for special discounted offers!